This is a good MBA finance project report on analysis of mutual fund schemes of Reliance Money and was submitted in the partial fulfillment of Masters in Business Administration. This project work consists of the analytical and different schemes of mutual funds which Reliance Money which provides to give the concept of what is the difference in their schemes. A mutual fund is an investment vehicle where a person or group of persons, called mutual fund managers, choose a group of stocks and sell them in one package. You can also Subscribe to FINAL YEAR PROJECT'S by Email for more such projects and seminar. 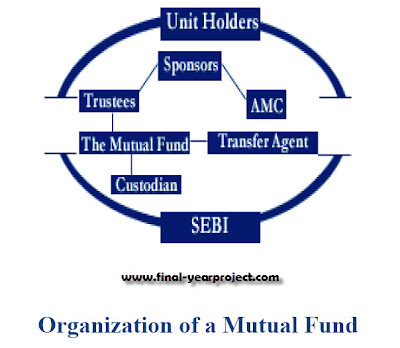 Objective of this project report are to study the various offers of the company, services ranging from equities, commodities, portfolio management etc., to collect information on the various securities revolving in the market & thus providing customer service to clients to help them invest capital in profitable plans, to know about returns of the fund which one is beneficial, to know their portfolio management. Use for your reference and study work only.